We’re exploring the idea of luxury as we work on photographing these gorgeous Wendell August early American Forge pieces which showcase some amazing Swarovski crystals. Maybe it is the saturated gem tones, gleaming metalwork, or perhaps the wink of sparkle that catches your eye. You know when you see something timelessly luxurious -- it’s anything but ordinary. Originating from the Latin luxus, the 1550’s French use of “luxe” brought the term forward by continuing to describe fashion, décor, or lifestyle that was sumptuous, extravagant, elevated. Opulence was the social calling card of outward appearance. Over time luxe has evolved to describe excessive quality, something that not only LOOKS expensive but has a richness of nature. The outward show AND the core of quality. Luxe can be extravagant yet concentrated. It can be decadent but delicate. Each expression is unique. It’s next-level glamour: nestled in the beautifully detailed metalwork is the signature sparkle of precision-cut Swarovski crystals. The raw material proportions of Swarovski crystals remains a company secret, stretching back to 1892! 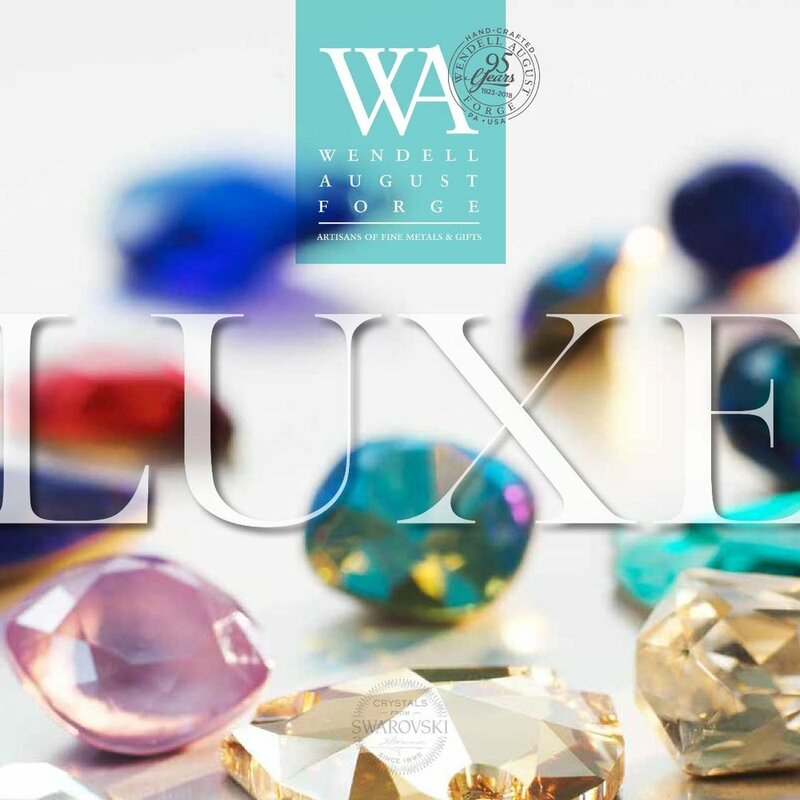 Partnered together, the work of Wendell August forge and Swarovski crystal produce the embodiment of luxe.